1hour from Pretoria, this small mountain resort is situated in the foothills of the Waterberg - a mere 25 km west of Warmbaths / Bela Bela on the Rooiberg / Thabazimbi road. Nestled in a kloof with mountain walks in a tranquil environment with more than 170 species of birds recorded. Nomadic antelope the whole year round. Beautiful bushveld trees. Resort area is covered with bougainvilleas in different colours. Monyane Lodge offers a restaurant & bar with DSTV, Self catering chalets, 2 Swimming pools (with an additional pool at Monyane Lodge Extension), putt-putt, mountain & kloof walks. We also have a lush green grass caravan park, all with electricity. We have a banqueting hall to seat up to 85 guests, ideal for conferences, weddings, year end functions, birthday parties etc. Cool clothing for summer - warm for winter - in the mountains the weather can suddenly change. Bring camera, binoculars, suntan lotion and insect repellant. 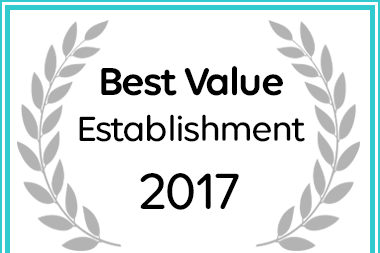 Monyane Lodge in Bela Bela (Warmbaths) has been named a Best Value Establishment.